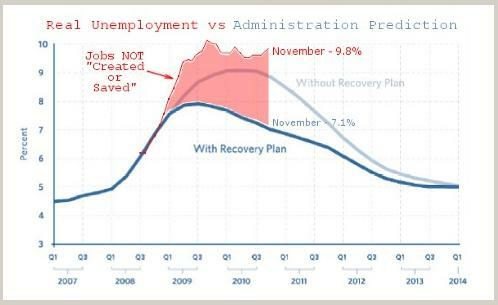 Guess that Trillion dollar stimulus didn’t work out so well, huh? 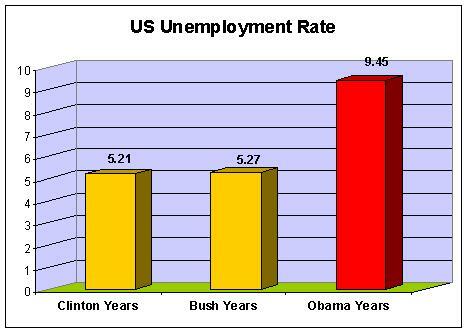 Barack Obama is the worst jobs president since the Great Depression and possibly the worst jobs president in US History. The unemployment rate jumped to 9.8% in November. In a significant setback to the recovery and market expectations, the United States economy added just 39,000 jobs in November, and the unemployment rate rose to 9.8 percent, according to the Department of Labor. November’s numbers were far below the consensus forecast of close to 150,000 jobs. The unemploment rate had been expected to remain at 9.6 percent. More than 15 million people remained out of work last month, and 6.3 million of them have been unemployed for six months or longer. Private companies, which have been hiring since the beginning of the year, added 50,000 jobs in November. Most of those increases came from the temporary help, where 40,000 jobs were added, and health care sectors, with an additional 19,000 jobs. Manufacturing companies, which showed some strength earlier in the year, lost 13,000 jobs. Included in the latest report were revisions from previous months. 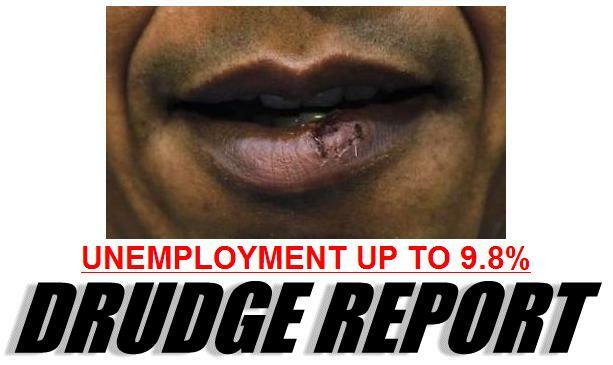 The agency now says that the economy added 172,000 jobs in October, instead of the 151,000 jobs previously reported. September was revised to a loss of 24,000 from a loss of 41,000. The anemic net gain in jobs came as economists had been gradually showing more optimism.